Newborn cloth stash – what’s in yours? I have used cloth nappies with baby boy since he was about 3 months old. We went straight to using birth to potty nappies in the day and fitted nappies at night with a birth to potty wrap. I therefore have no experience of using cloth nappies with a newborn. With baby number 2 on the way I have decided that I definitely want to use cloth nappies from birth this time but I don’t really know what I need. I have started a little newborn stash already with a purchase of 3 tots bots teenyfits. They are tiny and so cute. I am fully aware though that these will probably last me all of 5 hours! I need more!! Never having used them from birth I am just at a loss as to what to buy. I am hoping to breastfeed (it didn’t go to plan last time so I am keeping an open mind but will be trying) and so need great containment along with looking cute. This will be a winter baby and so nappies that dry quickly are a must. Lastly I am on a serious budget so they need to be cheap, cheap cheap! Not too much to ask really. I am therefore sending out a heartfelt plea to other cloth bumming parents out there – please give me any advice you have! What newborn nappies should I use? Where is the best place to buy from? Anyway! I used teeny fits, itti bitti tutto, muslins and mother ease rikki wraps, attempted to use bg v4’s and small g nappies (NOT tiny g’s) from birth. And hands down the small g’s were the BEST! 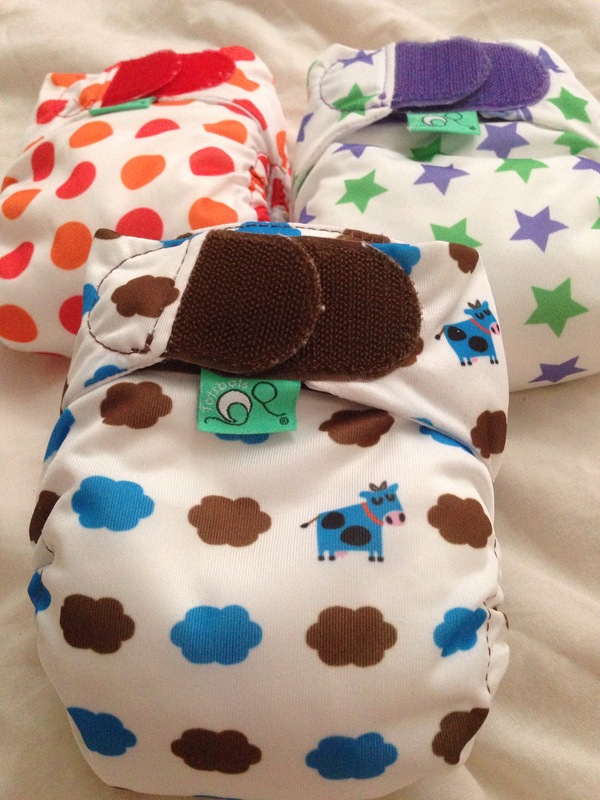 They are nice and absorbent easy to change easy to fit, really slim, hold far more wee with their hemp inserts than the tots bots teeny fits, my daughter out wet the teeny fits by 4 or 5 weeks and she out grew the small g’s before she out wet them. The g’s are also slimmer fitting even when boosted. Which I really liked as it kept her feeling like she was a little baby. Thanks Kay. That’s really helpful. Now to find some cheap g’s! We had a close newborn pop-in kit which I really loved, the wonderoos real easy are also rather cute. For best containment though, terries are the way to go IMPO. I have some small Thirsties wraps and 50cm terries. They have been great on my DS who was teeny tiny when he arrived. I have considered terries but not sure that Mr. K will use them. He uses the cloth nappies we have for baby boy but I think that terries might be a step too far for him. Thanks Clare. I’ll take a look.